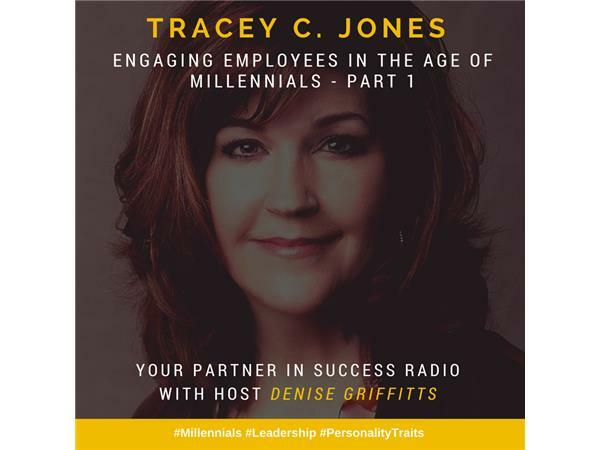 Tracey C. Jones - Author of 'A Message to Millennials' shares insights about engaging employees in the age of millennials. With twelve years in the Air Force, another ten in corporate boardrooms, plus an MBA in Global Management, Tracey has built an impressive career as a corporate “fixer.” Her father, the late Charlie “Tremendous” Jones, founded Executive Books in 1965 with the goal of changing the world one book at a time. After amassing an exceptional leadership background of her own, Tracey took the company’s reins in 2009 – and carries on her father’s tremendous legacy today. All organizations have a personality. It’s critical that employees learn how their leadership and followership traits set them on the path to success. In an era when the workforce is more competitive than ever, 'A Message to Millennials' is a timely and practical resource for young people navigating the workplace. Utilizing a common sense, science-based approach, 'A Message to Millennials' seeks to bridge the gap between meaningful work and employer expectations with strength, grace, and a healthy dose of humor.